© 2017 100 Black Men of the Bay Area. All rights reserved. At the peak of the Civil Rights Movement in New York during the early 1960s, a group of determined professional men, consisting of public officials, businessmen, lawyers, retailers, government personnel and others who were then known as One Hundred Men agreed to change their name to One Hundred Black Men. The hope was that through re-identification with our Black heritage and with collective effort, they could help chart the direction in human rights and improve the quality of life for Blacks and other minorities. The original chapter, founded in New York City by J. Bruce Llewellyn in 1967, set an example to which all successive chapter aspire. In the early 1980s, David Dinkins, then Manhattan Borough President and future mayor, focused national attention on this organization by referring to “100 Black Men of America, Inc.” the name that remains with it today. Now with more than 100 chapters and 10,000 members strong and still growing, 100 Black Men of America, Inc. remains committed to its founding mission: To improve the quality of life in African American communities by improving the educational, economic and social status of African Americans across the entire nation. Dedicated members of 100 Black Men have mentored more than 125,000 youth across the nation. 100 Black Men of America’s Four For The Future TM signature program areas are Mentoring, Education, Health & Wellness, Economic Empowerment. Leadership Empowerment serves as an overlay to the 100’s Four For the Future programs. The Bay Area Chapter was officially recognized as the fifth National Chapter on June 10, 1988. In 1992, 100 Black Men of the Bay Area established the Young Black Scholar Program and hosted the first statewide Young Black Scholars Conference in June 1993. The Young Black Scholar Program continues to be the cornerstone of the Chapter’s Role Modeling, Mentoring, Scholarship, and Fundraising endeavors. Each year, scholarship awards and financial assistance is given to students throughout the San Francisco Bay Area. Awards are given out each year at our Annual Scholarship Reception which takes place in July and our Annual Fundraising & Awards Gala which happens in December. In July 1993, the San Francisco Business and Professional Women recognized 100 Black Men of the Bay Area as the “Civic Organization of the Year”. December 18, 1993 was proclaimed “100 Black Men Day” in California by the Governor of the State. In 1994, the Young Black Scholar Program was expanded to include the adoption of two schools, the S.R. Martin College Preparatory School in San Francisco and Frick Middle School in Oakland. In 1998, 100 Black Men of the Bay Area partnered with the task force on the education of African American students of the Oakland Unified School District. This partnership allows us to reach even more students throughout the entire school district. 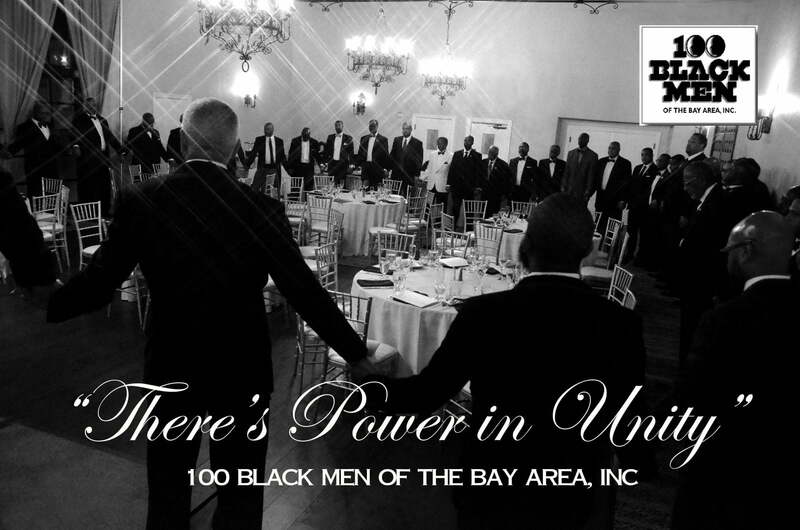 In April 2016, the 100 Black Men of the Bay Area was recognized as the “Non-profit Organization of the Year” by the California Association of Black Lawyers at their statewide conference in Oakland, CA. The Chapter currently operates its Mentoring Program at Oakland Technical High School. In 2018, the Chapter established a mentoring partnership with the Oakland O.K. Program to expand the program to Castlemont High School and Fremont High School.